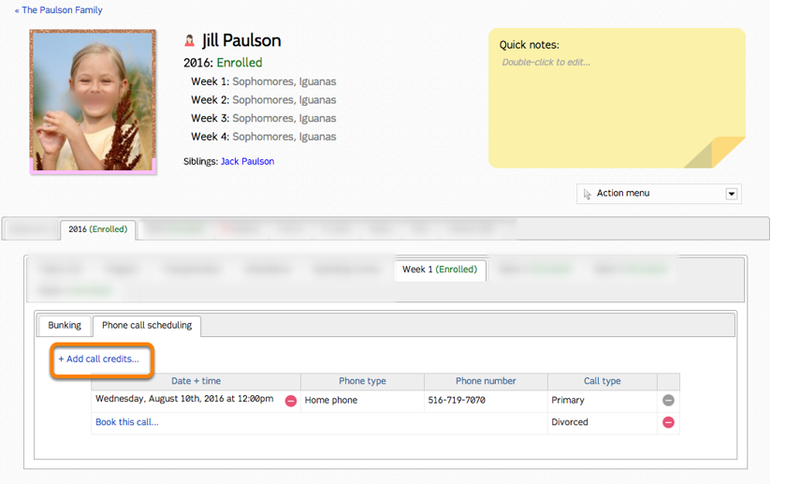 Campers' scheduled phone calls can be viewed on their Camper Profile page in the Yearly (Enrolled) tab > Session sub-tabs. 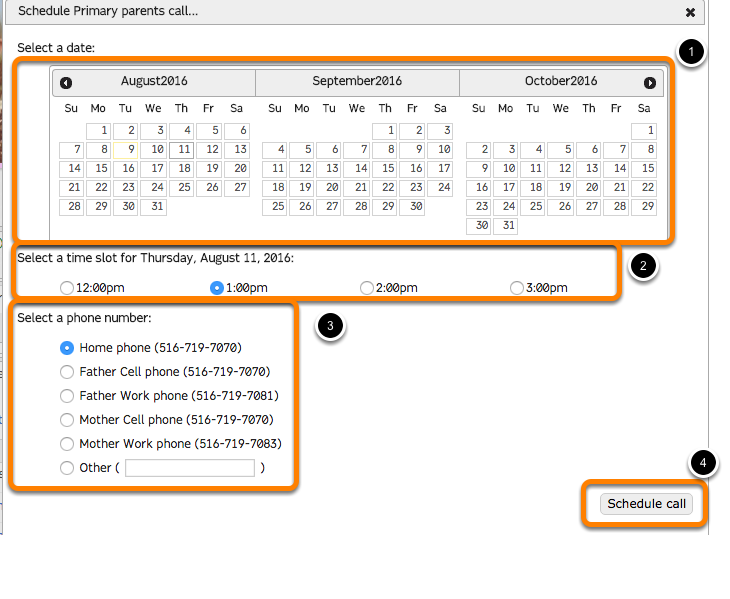 To manage call credits for an individual camper, click "+Add call credits..."
Select a time slot for the phone call. Please note that blacked out times for bunks /divisions will not should if a camper meets blacked out criteria. The phone call has been scheduled. 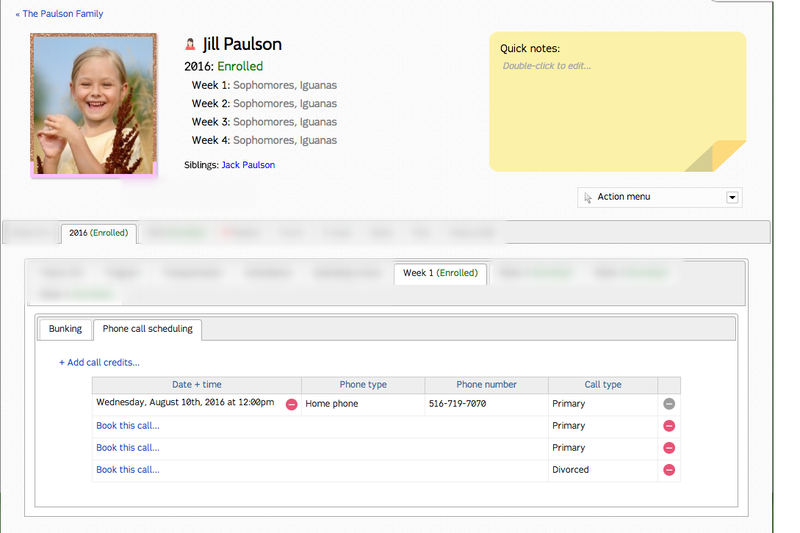 Double-click the red minus sign to delete a call credit. Please note that a call credit cannot be deleted until a call is unscheduled.